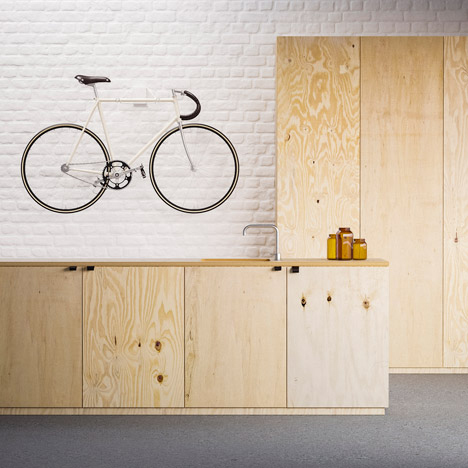 Living in a small space is tough for cyclists who don’t have a dedicated bike storage space. 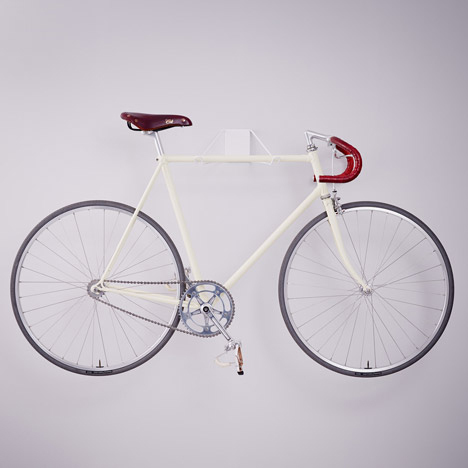 Swedish designer Karl Mikael Ling‘s Pincher bike rack provides that in a tiny, simple, barely-there wall-hanging rack. 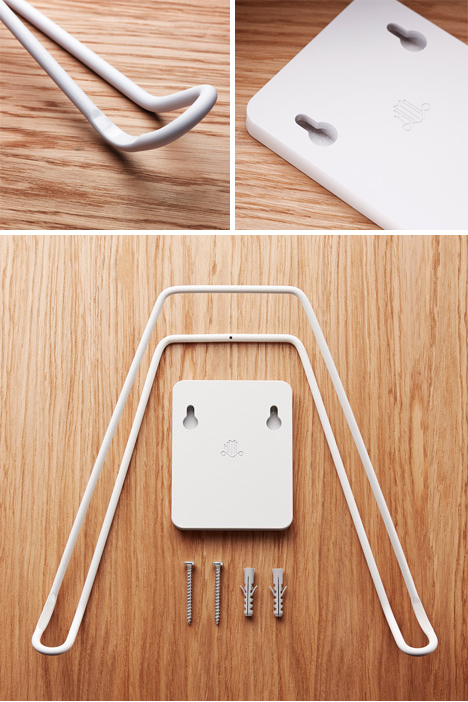 The Pincher is made up of a metal mounting plate and a bent steel wire that mounts to it using nothing but tension. 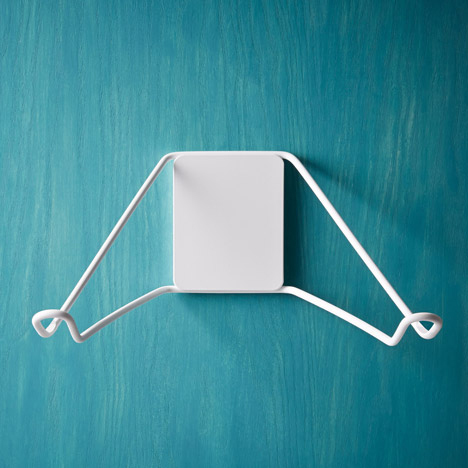 The mounting plate mounts to the wall with two screws; a groove along the top side and bottom side of the plate provides a place for the bent wire. The top of the strong bent wire fits into the top groove and the bottom is stretched to clip into the bottom groove. Despite relying on just tension to hold it there, the wire is able to hold up to 30 kg (about 66 pounds). It holds the bike away from the wall so neither suffer scratches. Ling’s Pincher rack doesn’t just give you a handy place to store your bike. 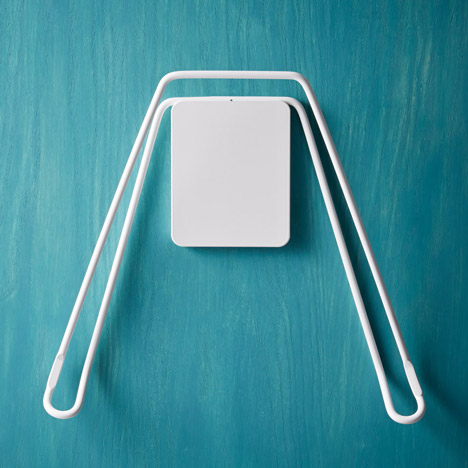 It provides a minimalist way to showcase your pride and joy. 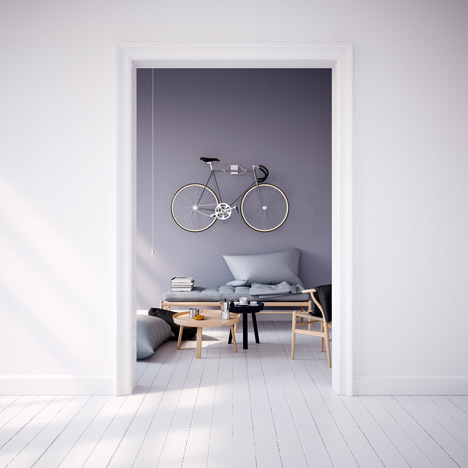 The rack is scratch-free so your ride will stay looking pristine and your apartment floor will gain a chunk of valuable space. See more in Home & Personal or under Gadgets. December, 2014.